Having picked up rock climbing just over 3 years now, this crazy outdoor sport has brought me places I have never thought would be possible. 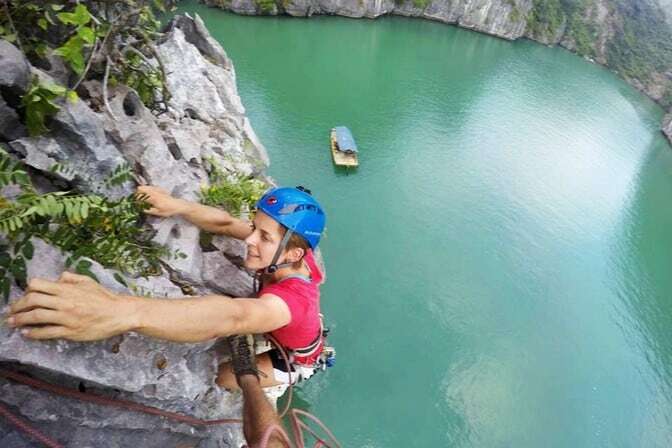 Whether you are a novice rock climber or a beginner who has just gotten your level 2 rock climbing certificate, here’s compiling the Best Asia outdoor rock climbing destinations that are affordable, popular and most importantly, great for climbing. 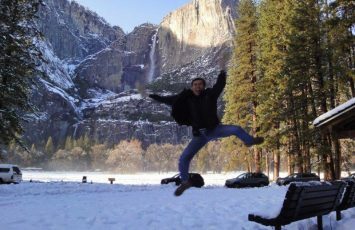 Many have asked, are there any rock climbing near me? In Singapore? 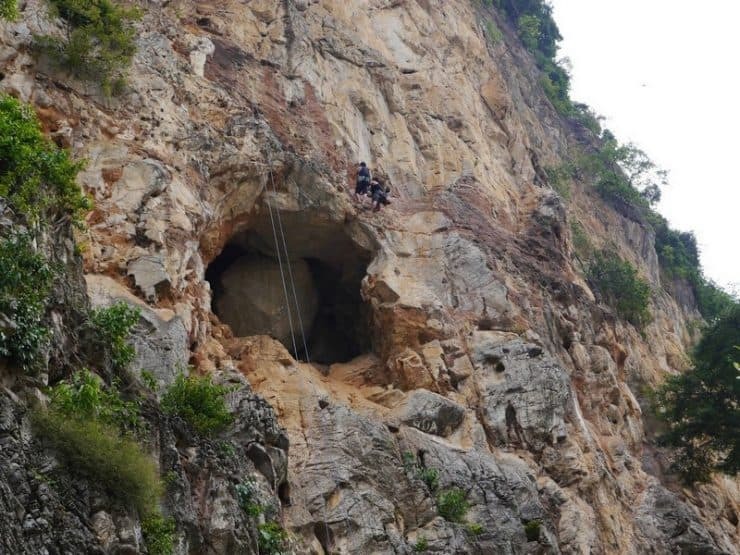 Batu Caves, the nearest destination from Singapore just 45 minutes away by flight, this stunning cave nest in Bukit Tukun KL is not just popular for the Grand Hindu cave temple, it is also a hot spot for some great granite rock climbing. 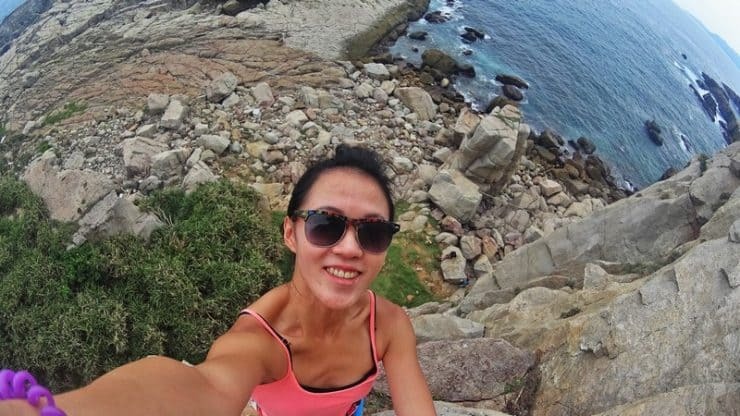 There are 3 very popular spots for climbing here, Damai Wall, Nanyang Wall and Nyamuk Wall, and varying degree of difficulty depending on your experience level. 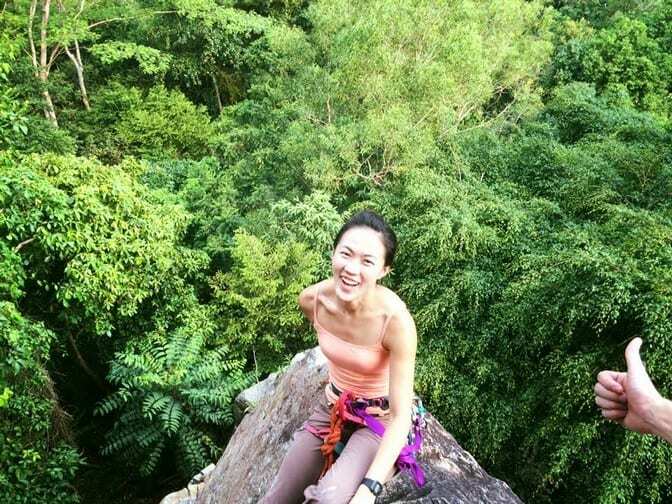 If you are a beginner, start off at Damai Wall, with plenty of easy routes with large jug-gy holds. Look out for the occasional monkey with white panda eyes, always curious to see us ‘monkey-like’ humans scaling his grounds. 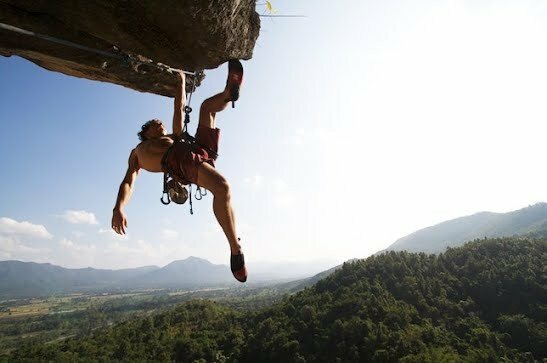 The most popular rock climbing in Southeast Asia is here in Krabi Thailand. 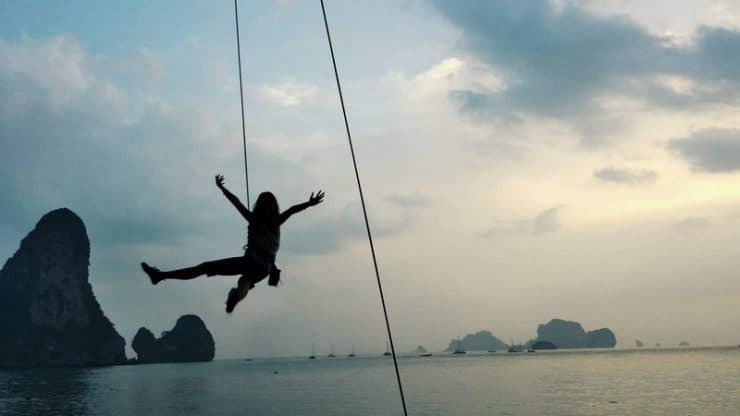 What makes this location so popular with both Asians, as well as international climbers all around the world, is due to a perfect match between amazing climbing routes and lovely island lifestyle – gorgeous beaches, beautiful snorkelling sites and great Thai food. Krabi has endless climbing spots, but the ones that most people start off with are ABC Wall and Thaiwand Wall, good warming up spots to prepare you for the next few days of climbing. 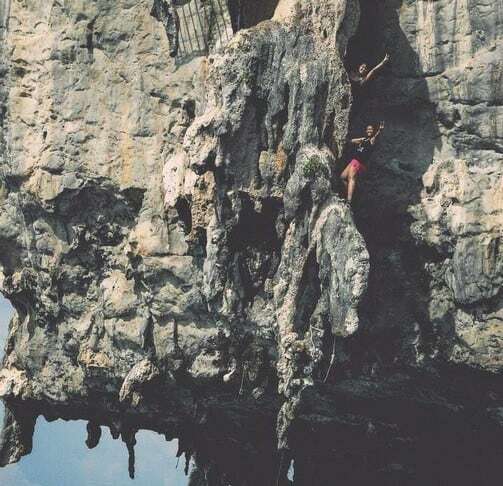 Krabi is also known for deep water solo, a must try for all adrenaline junkies who have a knack for ..craziness. I tried it with a group of 5 friends and it was by far the craziest activity I have ever attempted so far. Deep water solo needs to be accompanied by a tour group, and safety of deep water solo spots needs to adhere to. For rock climbing class bookings and half day/ full day tours, you can always book there directly, either on Railay, Ton Sai or Ko Phi Phi. 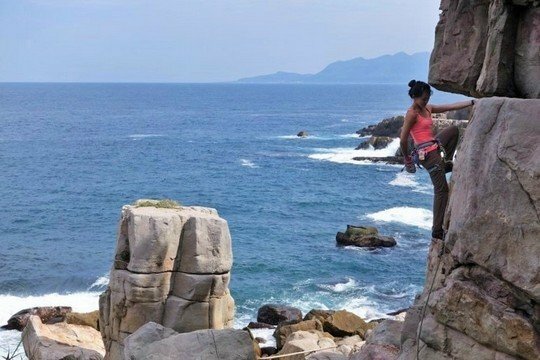 Known for its stunning coastal views and sandstone rock formations, the next place featured for the Asia outdoor rock climbing destinations is none other than Long Dong Taiwan. This spot is extremely beautiful, especially for people who love the sea breeze and hear the crashing waves. So far, this climbing spot commands the most beautiful photos, and looking back it still wows me occasionally. To get there, it requires a long train ride followed by a bus to get from Taiwan to Long Dong, Jiufen. 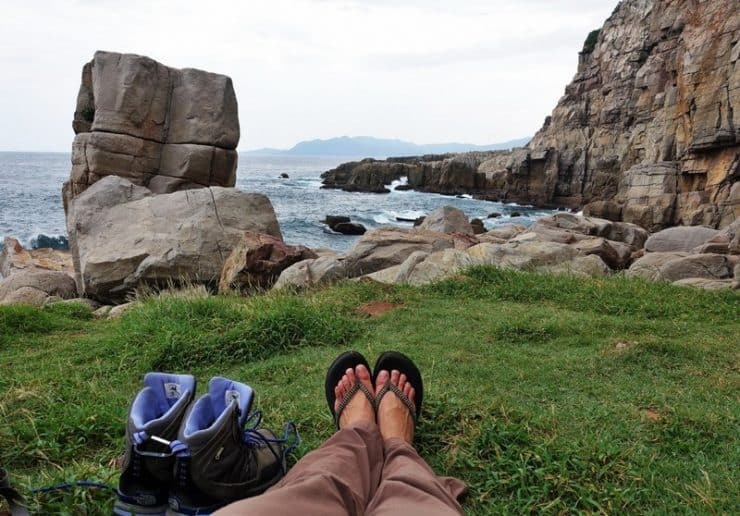 Situated at the northern part of Taiwan, this rustic coastal area is still rather remote and not too touristy yet, so the people here aren’t exactly able to speak some basic English. However climbing here was lovely. 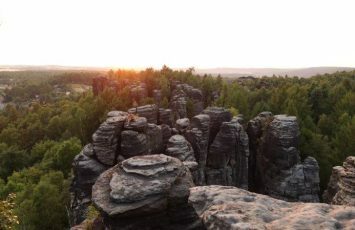 So many areas to explore, and to get to these climbing spots require a bit of traversing, hiking and small climbing. Quite an adventure I must say. 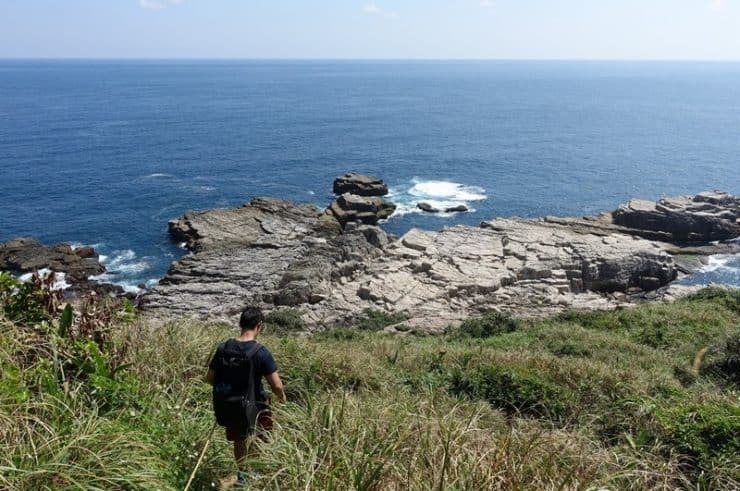 Warning, make sure you go in the correct season and not typhoon season, you can potentially get stranded at the climbing area when the storm suddenly comes. Have not set foot on Vietnam yet, but when I get the chance, this Cat Ba Island is on my list. 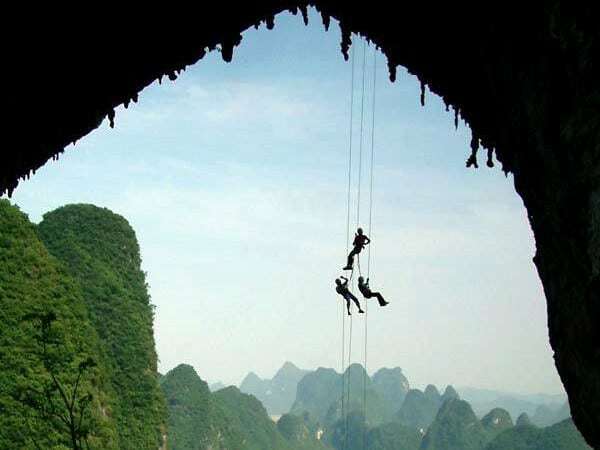 Vietnam, known for its stunning cliff formations, rivers and Padi mountainous field, am not surprised why this country doesn’t have the right climate, rock formations and scenic draw factors to attract climbers from its surrounding neighbouring countries. 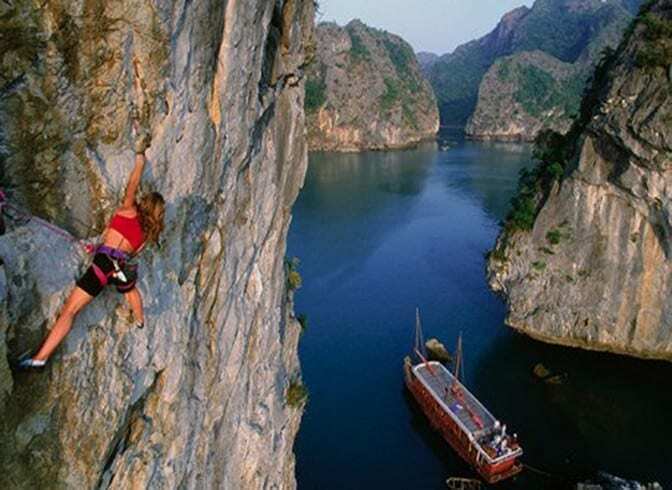 One thing that many has tried is also deep water solo at Halong Bay, a major tourist attraction in Vietnam, where many tourists experience live onboard cruise experience as they visit all these lovely cliffy spots, looking so tempting to a climber’s keen eye. The pictures people took at this destination is enough to make you burn with desire to go. 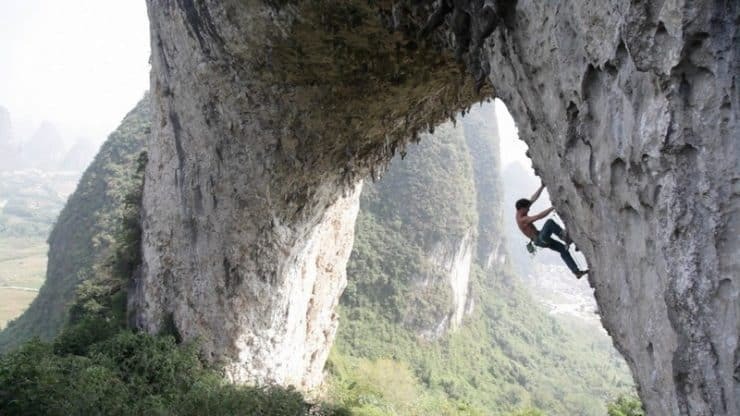 Here’s the next Asia outdoor rock climbing destinations – Yangshuo in China. 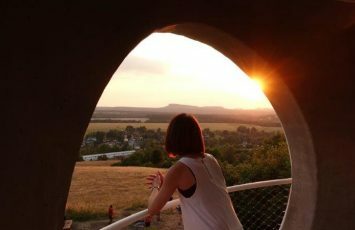 A Must Do – wake up early to catch the sunrise, with a stunning view of the mountains covered in a sea of mist. Sure to leave you spellbound. 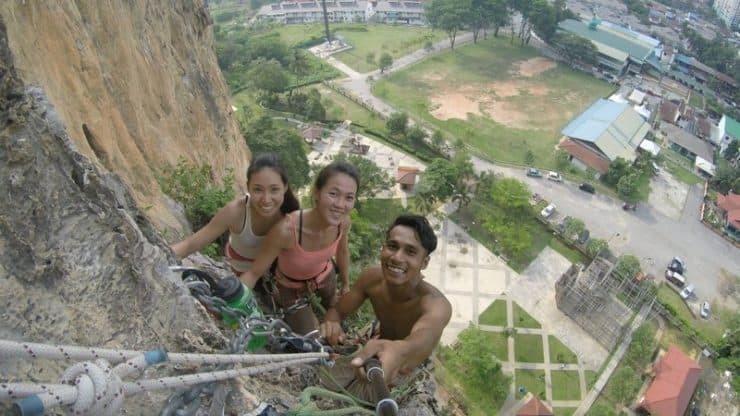 There is a natural rock climbing wall in Singapore? Who would have thought? But yes, especially shouting out to Singaporeans, you can check Dairy Farm at Bukit Timah Road area, the nearest situated mall is the Rail Mail. This place is popular for bikers, hikers alike, families with young ones given the natural abundant trails and rich forestry. Just take note to be careful to check your routes before you embark on a Dairy Farm climb, there is ongoing rock movements due to the climate here in Singapore ( rain and shine all year round), so loose rock is a common occurence. Crazy Horse is probably the most notorious route in Chiang Mai. 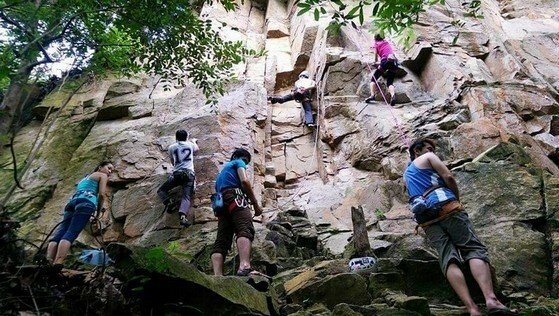 This popular climbing area has great ‘air condition’ temperature cooling weather at certain times of the year to attract those who do not fancy the sweltering heat of Krabi, Thailand. Be surrounded by a cool bamboo forest, soak in hot springs and even take a scooter ride to explore the surrounding hills on your rest days. 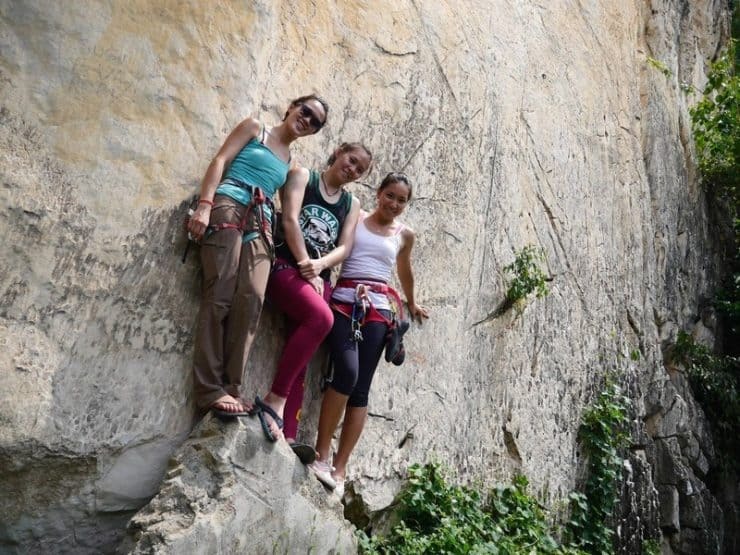 The Chiang Mai Rock Climbing Association (CMRCA) has US trained guides for those who are more inexperienced and would feel safer to be accompanied by a certified climbing guide. To get to Chiang Mai, there are many affordable budget flights from Bangkok as low as US$25 one way, or if you are coming from Singapore, there are direct flights with Scoot airlines. 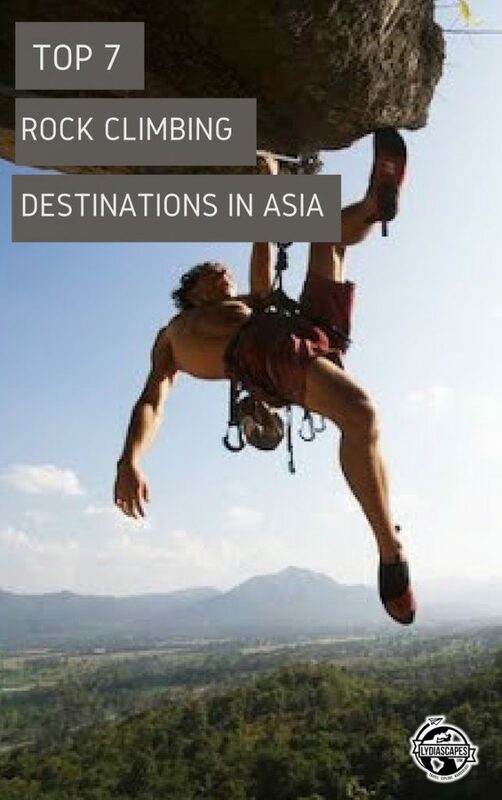 So satisfied with the list of best climbing destinations in Asia? 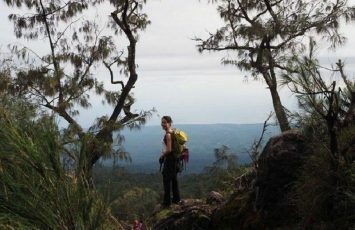 To read more about my climbing trip in Krabi or outside of Asia like South Africa. 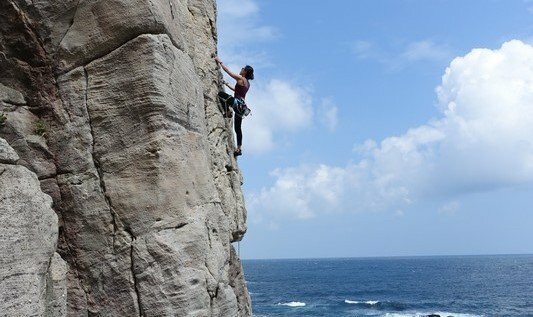 Have I missed out any new and upcoming spots to climb in Asia? I love your blog! 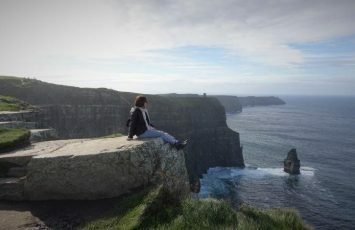 My travel wishlist has just grown significantly in size after reading about all these beautiful climbing destinations. And thanks for dropping by on my blog by the way 🙂 I’ll be sure to check in every now and then to see what you’re up to 🙂 See you around! Hi Alex! 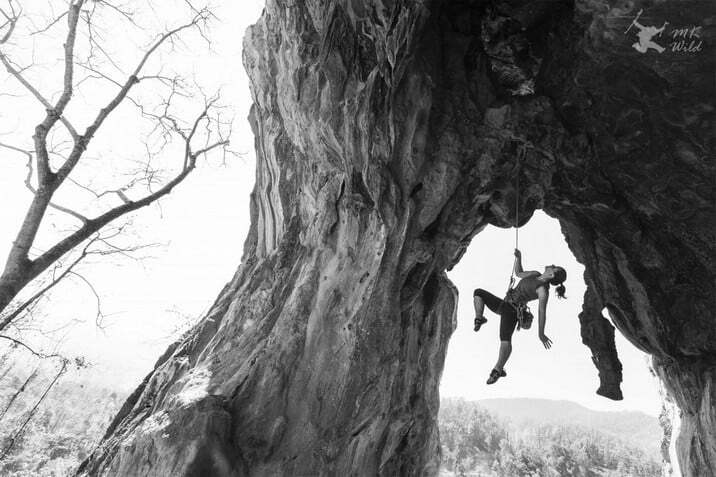 Glad you enjoyed the posts and hope you are inspired to visit some of these places to climb. Yes, hope to see you around too! :D My next stop is Penang and Krabi! Hi Alba! so glad you are paying us a visit in august. 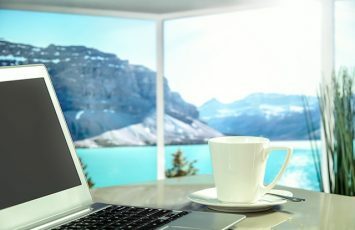 One good news for you is the southeast asia has rather sunny weather all year round and tend to have some monsoon showers in certain regions. Depending on where exactly you wanto to climb at ( eg. 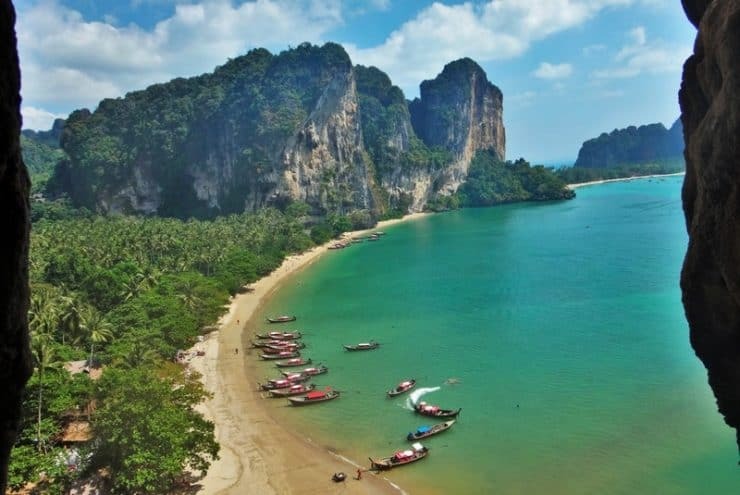 Krabi/ Vietnam), I would be able to advise. 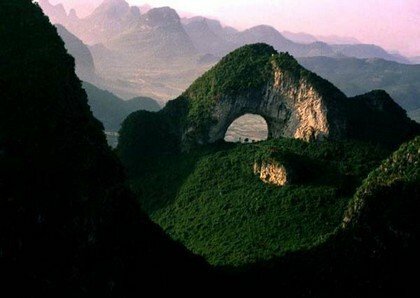 Yangshuo remains my top to-do in my bucket list. I am glad that you featured it on your blog at the right time. My only concern, is the notorious The Moon Hill favourable all time of the year? I’d like to visit in August. Thank you. Hi Thomas! Jul and Aug the warmest time of the year at 28 degrees:). Moonhill is windy and breezy most of the time, but just need to time the climbing such that you avoid the direct sunlight falling on you. Hope it helps! Excited for you!